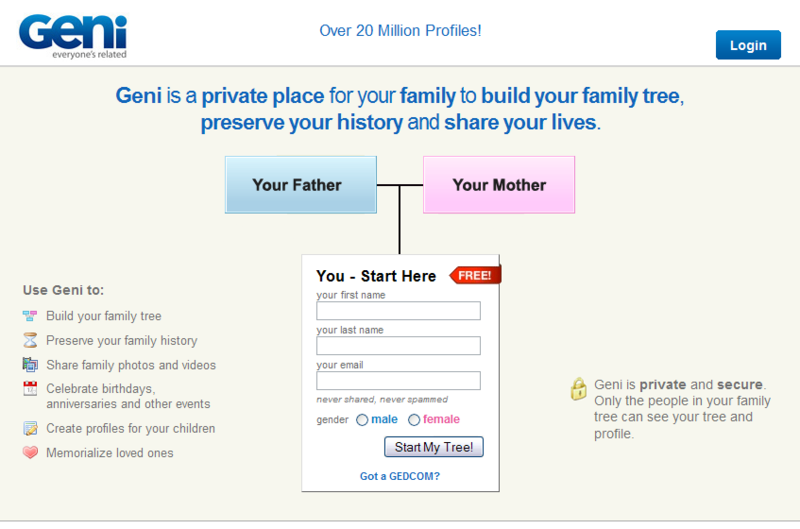 Luke Wroblewski is also using Geni, among a few other sites, as an example of this concept. 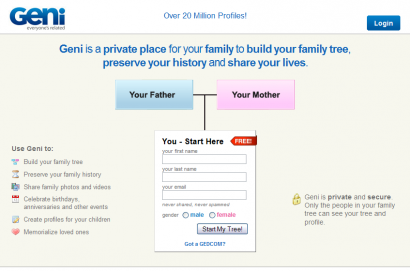 In the Geni example it’s an almost transparent sign-up process since you immediately start to build your family tree, naturally starting with yourself, thereby entering your name and email-address. You’re instantly engaged in building your tree and are investing time and effort in the web site. An email is sent to you with a temporary password and a link back to the site where you can set a permanent password. Making it easy for you to get back to the site and continue where you left off. This is still the best example I seen so far in getting the user to interact with the product right away. They sure have nailed the concept of Gradual Engagement, but also manages to clearly communicate what the site is all about in a single page. It’s probably not a coincident that they’ve managed to get over 20 million profiles. Trying to remove as many barriers as possible in getting the user engaged is crucial for the success of web applications. I think this is something we all can learn from, especially when it comes to social media and web applications. Do you know of other examples of Gradual Engagement?